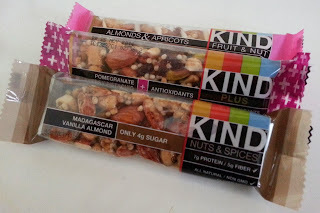 KIND Healthy Snacks is a brand of all natural foods made from ingredients you can see and pronounce, and it’s also a movement that gives new purpose to snacking. With they're lines of snack bars, KIND Fruit & Nut, KIND PLUS, and KIND Nuts & Spices, as well as they're line of 100% Whole Grain granola, KIND Healthy Grains, they have quickly become one the fastest growing brands in the natural foods space. Beyond crafting award winning foods, they aim to make the world a little kinder through the KIND Movement, which has inspired hundreds of thousands of unexpected acts of kindness around the world. KIND Healthy Snacks has teamed up with Dr. Elizabeth Thompson, radiation oncologist and founder of BFFL Co to offer a limited-edition BreastBFFL Bag for Breast Cancer Awareness Month. The limited edition Breast BFFLBag contains all the essential items a women needs during the first days following breast cancer surgery including KIND bars, a toiletries kit, amusement pack, skinceuticals, comfort pillow, drainage pack, collapsible water bottle, and expandable folder for important paperwork. For every bag sold in October, KIND will donate an extra $5 to Friends Fighting Breast Cancer. You can purchase the bag for a woman in your life who is recovering from breast cancer or "Do the KIND Thing" by purchasing one to donate to an anonymous, deserving patient. Can't commit financially - no worries! Within each of the donated bags we will be including words of encouragement from women across the country. Submit your note to one of these brave women anywhere on KIND's Facebook wall or to bfflco@kindsnacks.com and we'll be sure it makes its way to a deserving patient! 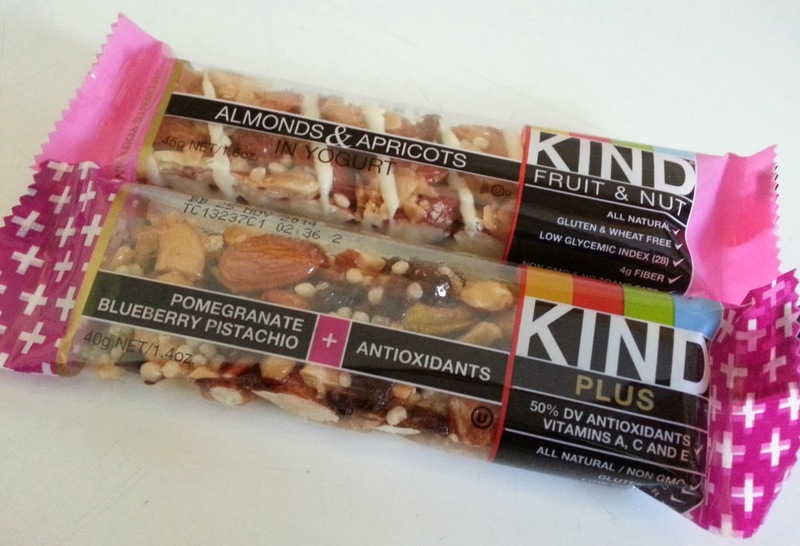 In honor of Breast Cancer Awareness Month, KIND has come out with two pink bars, Pomegranate Blueberry Pistachio + Antioxidants and Almonds & Apricots in Yogurt. Pomegranate Blueberry Pistachio + Antioxidants contains 50% of the recommended daily intake of Vitamins A, C, and E, which fight free radicals and help maintain the immune system and healthy skin. The combination of blueberry and pistachio is perfect. All natural, healthy and a ethically responsible company, it's awesome! Almonds & Apricots in Yogurt is a blend of whole almonds, apricots and coconut drizzled with yogurt. Nuts are a natural source of Vitamin E, fiber, and monounsaturated fats. These nutrients work together to lower cholesterol and reduce the risk of heart disease. A good way to get Omega 3's. Tasty and very chewy with lots of coconut. They look delicious but I'm allergic to nuts unfortunately. I'm sure my daughter who is into eating healthy would love it though. Oh no!!! I'm almost positive your daughter will love it, they are so tasty! Pomegranate Blueberry Pistachio sounds delicious. I bet my older daughter would love these, too. This looks like my kind of snack bar! I'm glad its the perfect fit for you! Sounds like a delicious but healthy snack! Thanks for sharing! I LOVE kind bars- such a fabulous company. The new pom/blueberry/pistachio is SO good! Right?! One of the best flavors, in my opinion.. I got a samples of these from my last marathon. They're a great snack! What flavor did you buy? Aren't they delicious?! I always buy these when I'm in Starbucks and need a quick snack! I love that Starbucks carries these, my daughters always ask for them! I'm glad they are the perfect fit for you! Hi Alyssa, I just came from the Daily Blog Boost. 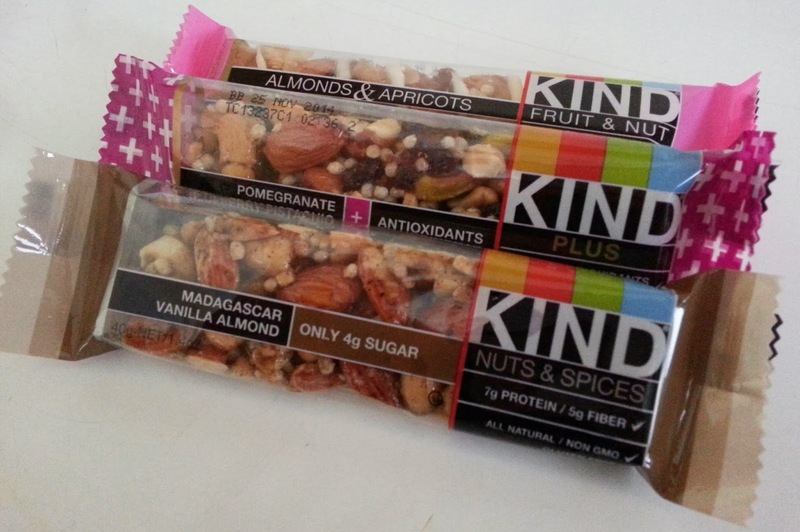 I'm a big fan of KIND bars. I take them with me whenever I travel. It's so much better than eating junk/fast food. I'm sharing this on G+. Thank you for sharing, I really appreciate it! Yayyy, let me know what you think of KIND! I love these Kind bars! Very cool that they're offering a bag during Breast Cancer Awareness month! I know! KIND is definitely my favorite snack! I'll have to try these again. They sound so good!